If there is one piece of advice that seems to always keep travelers in good stead, it’s to keep things simple. Probably everyone has had the experience of things being too complicated when on the road. This applies to laundry as much as anything else. After all, when you’re on the road, it’s often to parts you’re not very familiar with and tools you don’t have or even have access to. Quick: you are at a small hotel in Madrid. Where is the closest laundromat? Also, while you are traveling to Europe, don’t you have plenty of other things to do other than laundry? This reminds us of an incident that took place at a laundromat in Hawaii where a young man, wrapped in a sheet waited until his clothes were dry, at which time he dropped his sheet and proceeded to dress himself in what was his load of laundry. Not only will you probably be better prepared, but you also would have more laundry than just a single change. 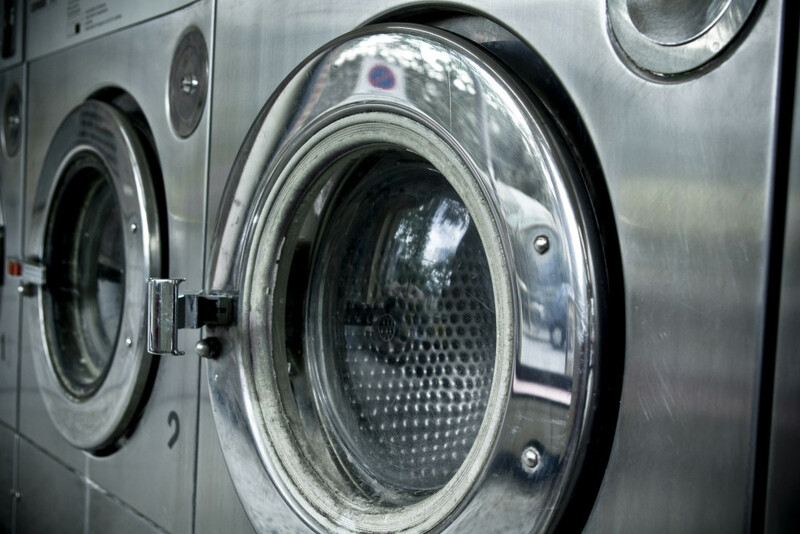 It’s for all these reasons that you want to keep laundry chores as simple as possible. The first place that many people turn to while traveling and keeping laundry clean–more or less–is to wash in their room. With a sink, a little detergent, and a traveling clothesline, you are usually in business. Along with a quick-dry wardrobe, you will end up looking pretty spiffy, despite the primitive conditions. The downside to this is the fact that many hotels, especially in Europe, ask that laundry not be done in sinks. Some bathrooms are even equipped with signs that say, “no washing clothes in the room,” which besides “Don’t pee in our pool” and “Don’t feed the ducks” which is one of the most ignored in the world. Just as is the case with other parts fo the world, there are many launderettes throughout Europe that you can use. These are much like those in America that have washers, dryers, folding tables and maybe a few assorted homeless people in attendance to remind you of home. The hotel that doesn’t have some kind of laundry service attached to it probably hasn’t been invented yet, so if you really don’t want to visit a laundromat or violate in-room signs, just ask the front desk or concierge for the closest available laundry service. Most often, these will not only wash your clothes for you, but they will pick up and delivery for free, and often offer same day service too. This will cover you for your European travels, but if you are still in New York City, the best way to get your clothes really clean, without the hassle, is call The Laundry Center and get your laundry picked up and delivered right to your doorstep, and they don’t use hotel sinks to do the job either. This entry was posted	on Thursday, March 17th, 2016 at 8:38 pm	and is filed under Main. You can follow any responses to this entry through the RSS 2.0 feed. You can leave a response, or trackback from your own site.